Ballistic BBQ is an epic grilling channel YouTube with over 130,000 subscribers. Greg, the founder and presenter, first saw the SolSource on Top Chef, and got in touch to learn more. We’d seen Greg in action and knew he loved traditional barbecuing. Rather than just answering his questions, we sent him a SolSource Classic to try. Then, we reached out to learn from his experiences. Why did you want to learn more about SolSource? What were your first impression when you set up the SolSource Classic? We’ve seen your review on Ballistic Barbecue, and the ‘Cheese Burger Del Sol’ looks amazing. Have you had any other experiences with your SolSource Classic so far? 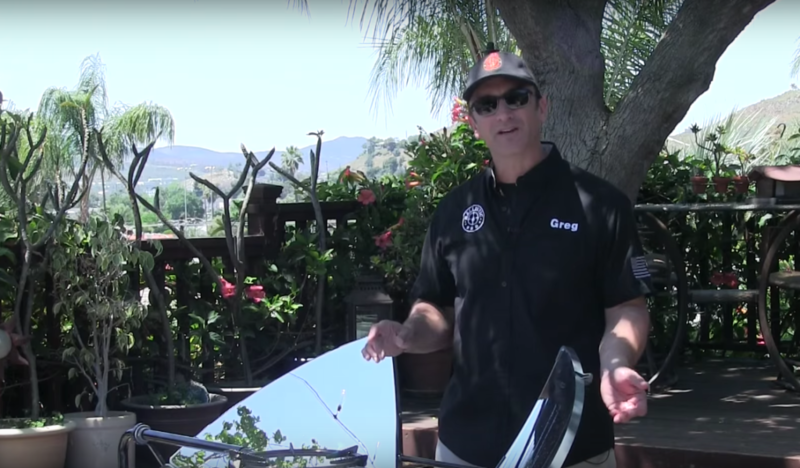 You hadn’t used a solar grill before, was there anything else you noticed? Who would you recommend SolSource Classic to? You can check out the full review of the SolSource Classic by Ballistic BBQ below, while learning how to cook a mouth-watering ‘Cheeseburger Del Sol’.